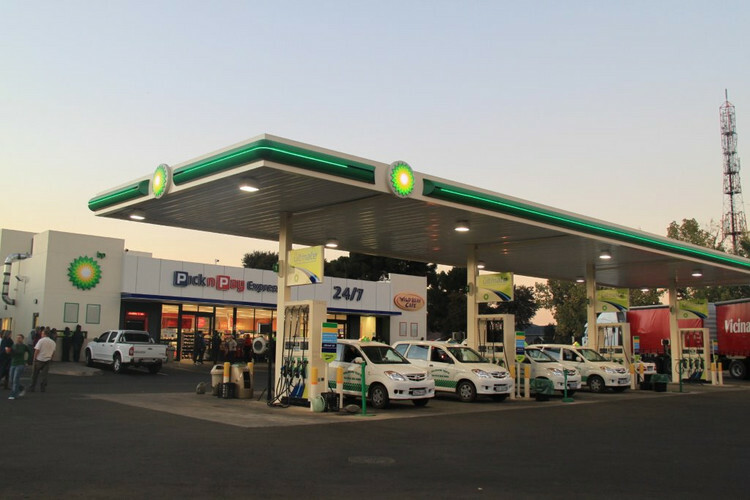 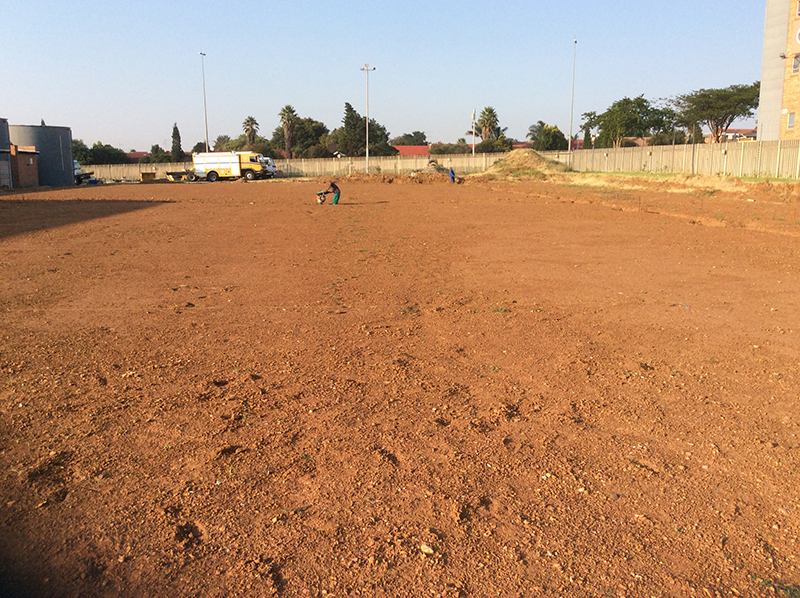 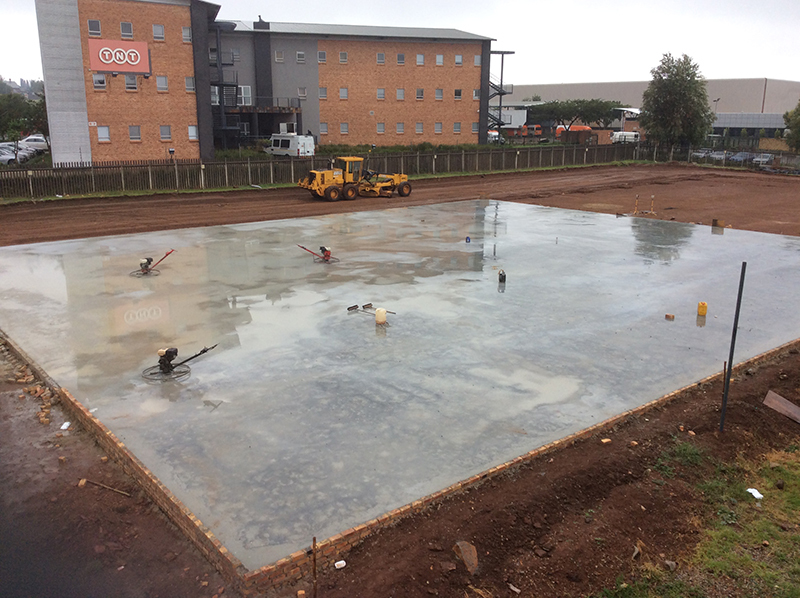 You might think that growth mostly applies to residential areas as the population is rapidly expanding, but have you ever given notice to the increasing amount of high-rise building throughout Meyerton? 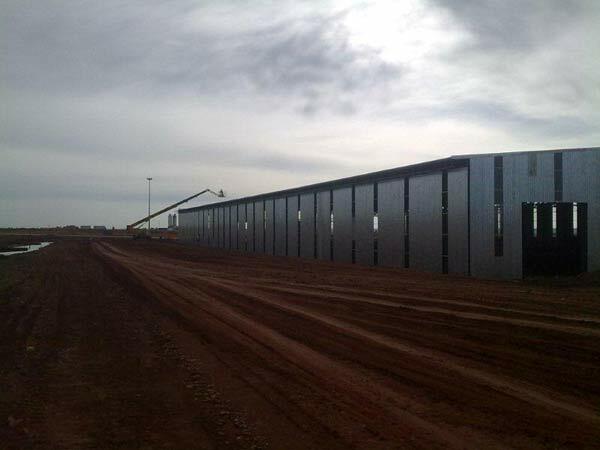 As one knows that these steel buildings weigh hundreds of tons as they are constructed with so many different levels on top of one another, you might ask yourself how this could be possible with the use of traditional concrete and bricks. 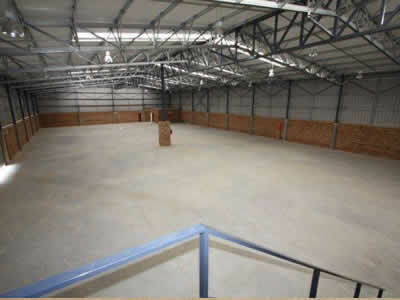 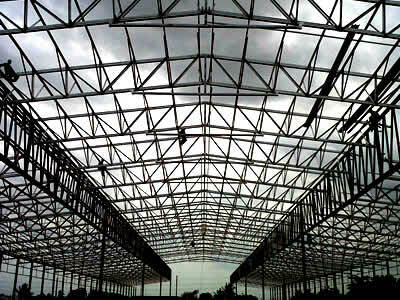 In actual fact the success of the construction of these enormous buildings is only due to the use of steel structures. 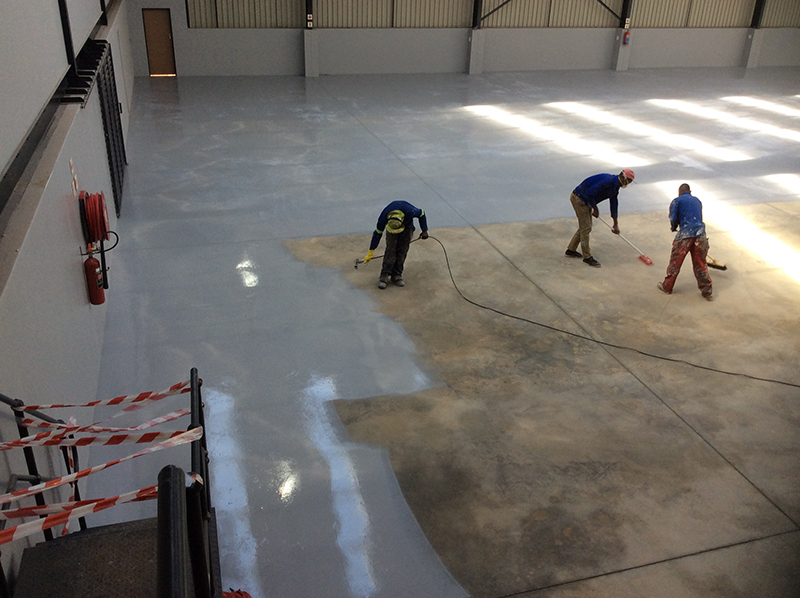 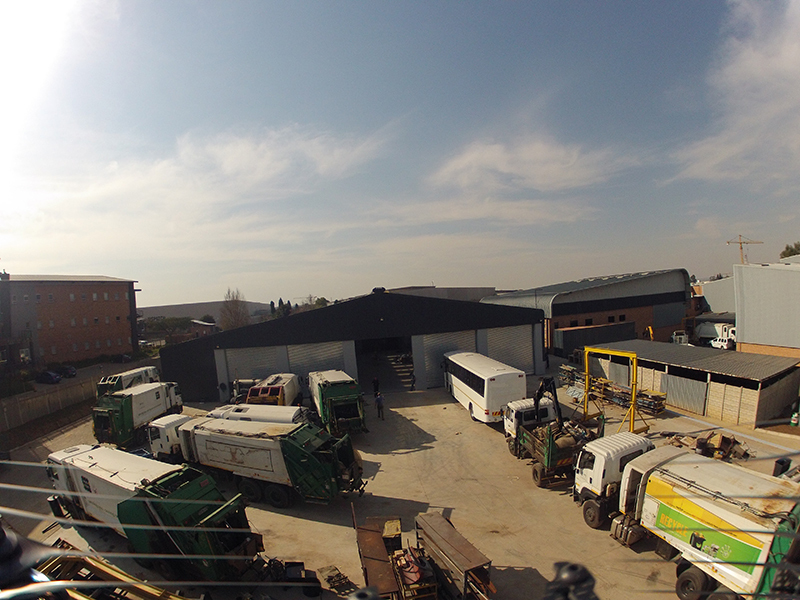 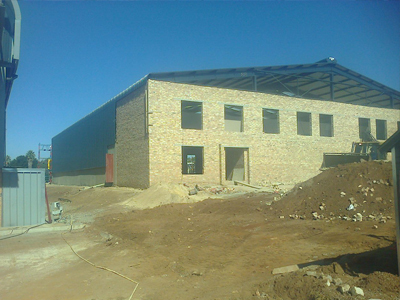 One very important aspect though is that you make use only of a very reputable manufacturer and supplier of steel structures near Meyerton. 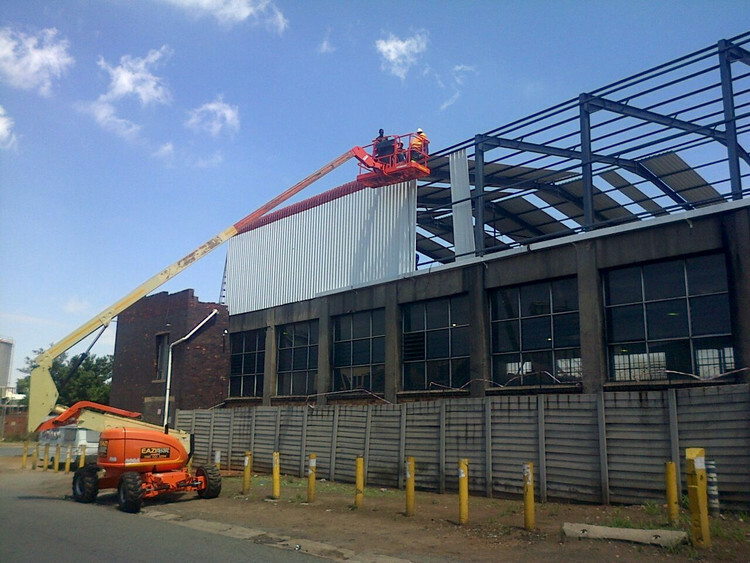 As many new steel structure companies have popped up everywhere and offer the “best rates” and massive discounts, one must disregard these tactics as the very most important aspect would be the quality of the steel. 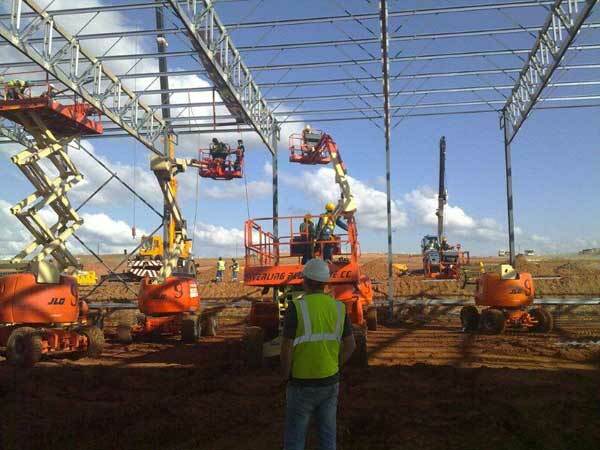 The steel structure’s quality will directly determine your need for extra costs in terms of replacement, damage repair and competency of the structure itself. 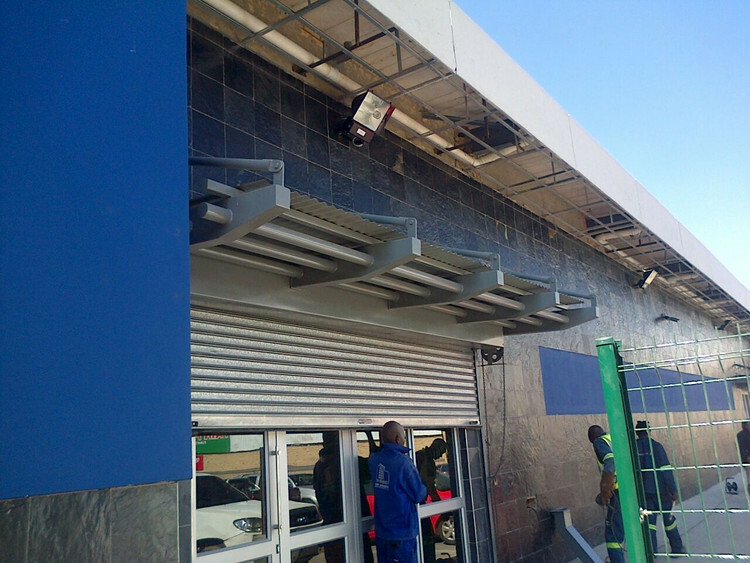 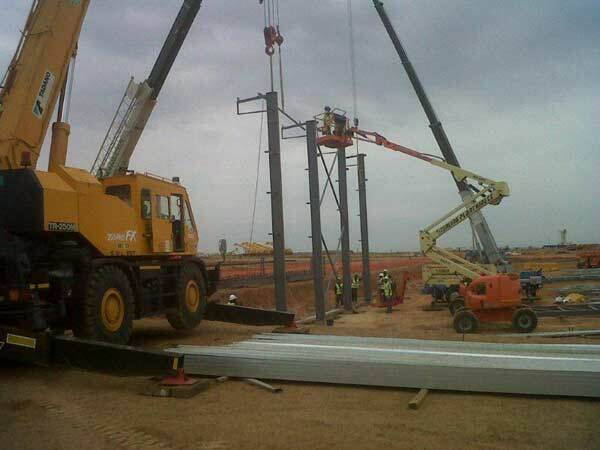 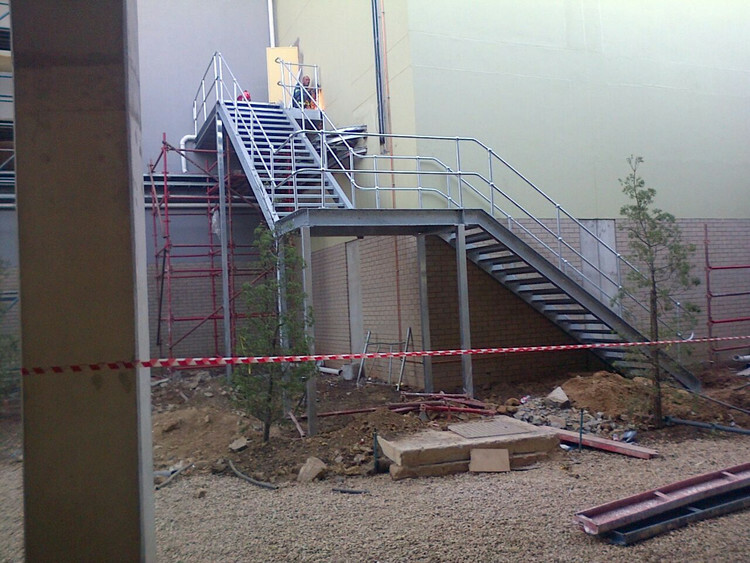 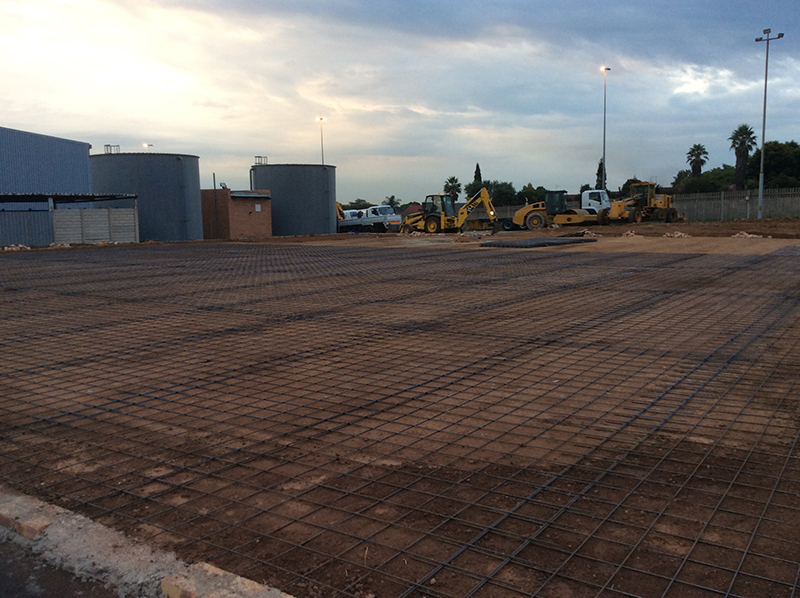 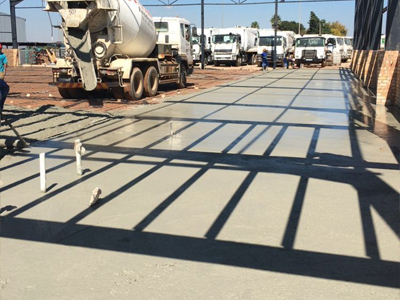 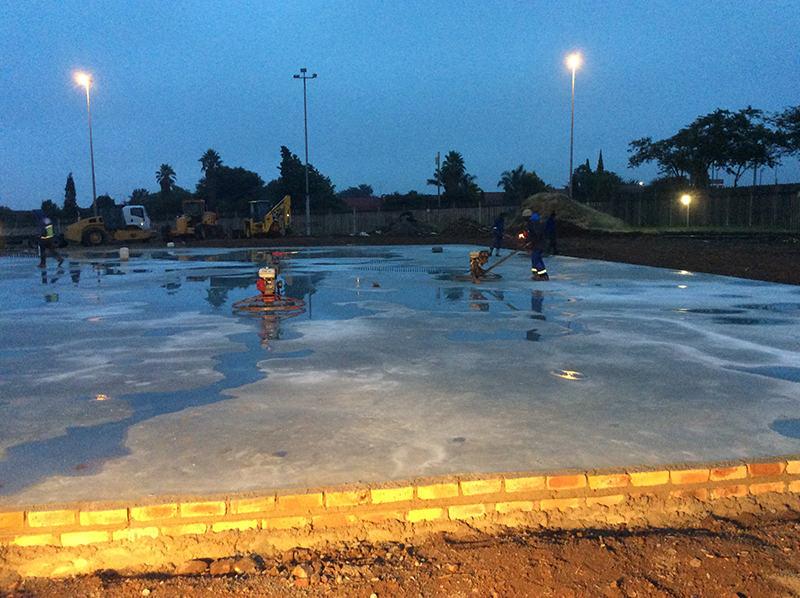 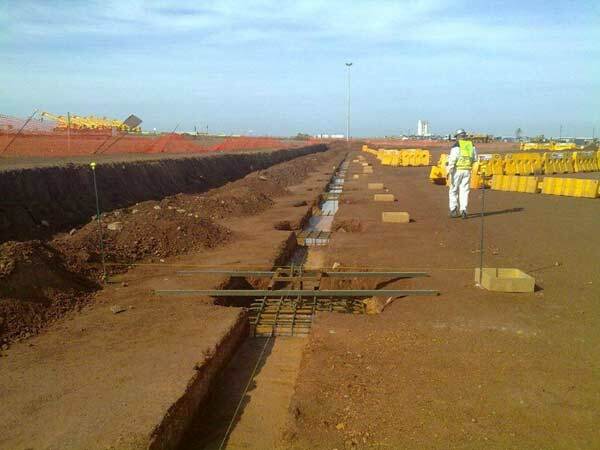 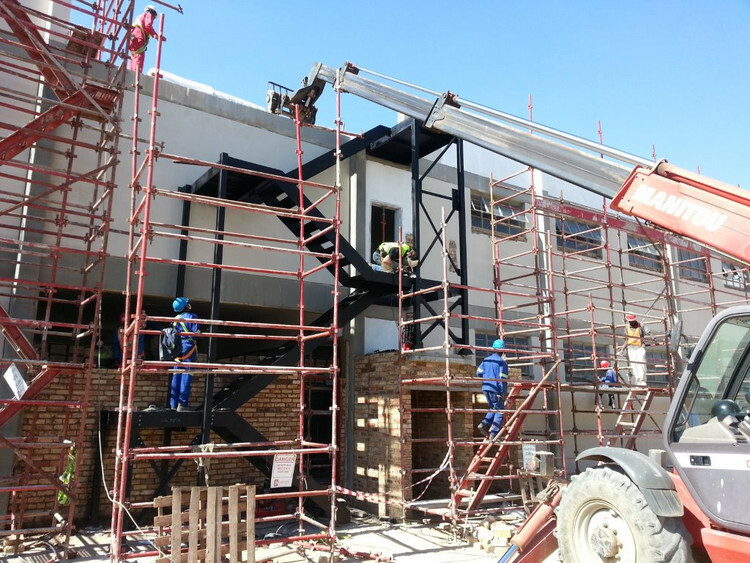 So when you are in need of any type of steel structures near Meyerton, phone De Wet Nel Construction at (016) 931-9737 where you can be at ease that you are employing one of the most reputable steel structure suppliers in Gauteng. 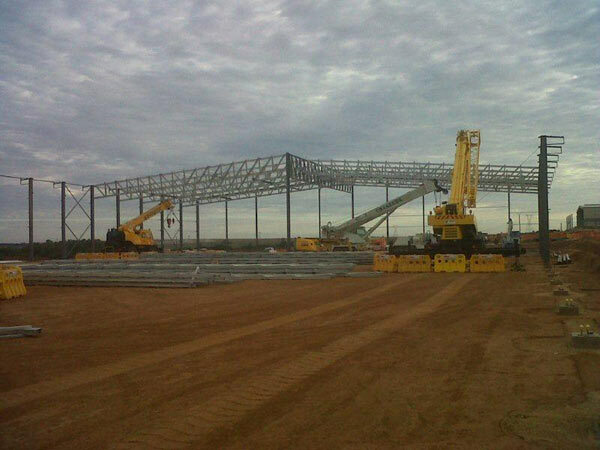 Steel structures near Meyerton have become such a vital form of construction due to the fact that this material has been put under various types of testing and diagnostic experiments and found to be the leader in the field of construction material. 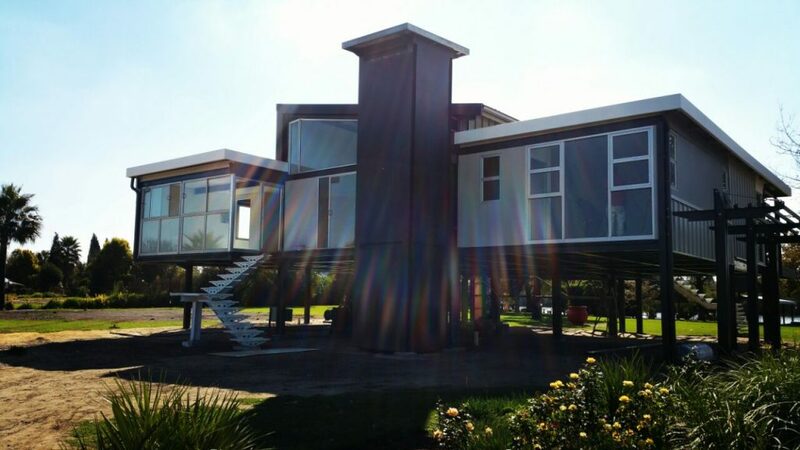 Many of its innovative advantages give rise to the popularity of this material of which some include the following advantages. 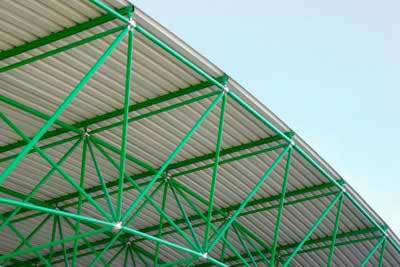 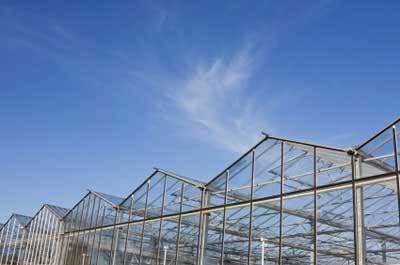 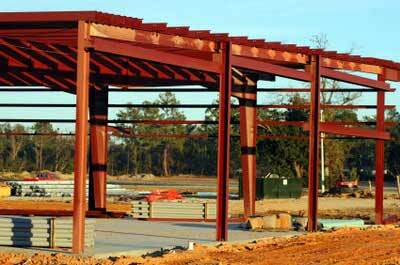 Per length steel is far stronger and lighter than any other form of construction material. 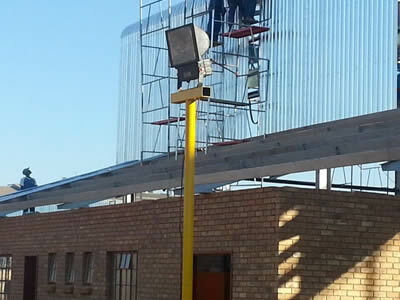 Steel is pre-treated to prevent rust or damage after many years of use whereas bricks, wood and cement will deteriorate much faster and at a more rapid speed. 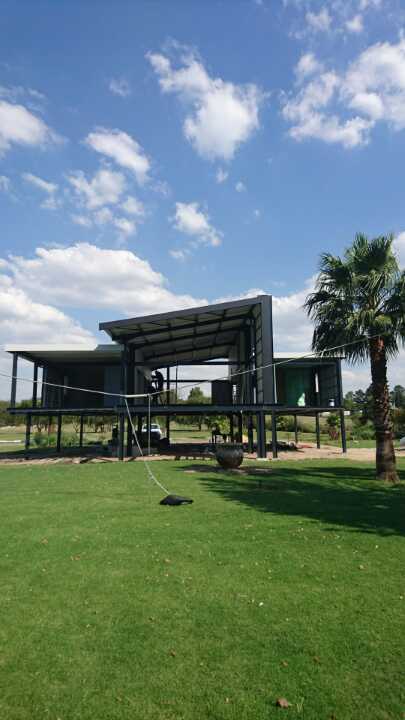 These steel structures near Meyerton are fire proof, insect proof and resistant to many major catastrophes such as storms, extreme winds and even tsunamis. 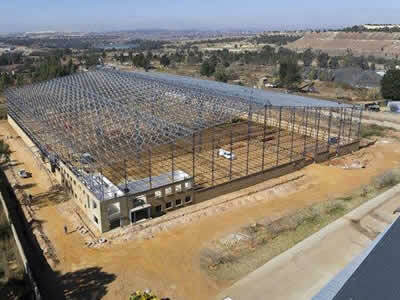 A steel structure is secured and closed off so that it is totally sealed inside, preventing any mildew and/or undesirable elements from entering, and thereby keeping your precious cargo safely stored inside.